The Scott Flex 804-4 is a slower action model for dry fly fishing on small and medium sized water. FX 804-4: The 804-4 is softer than most other models in this series, which suits it for short distance casting in tight quarters. 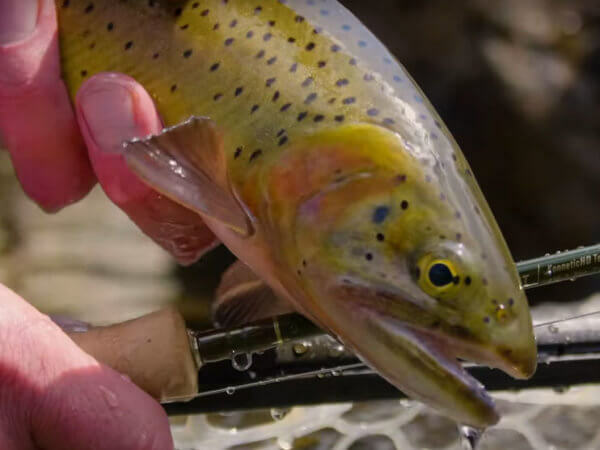 This rod lacks versatility, but has a nice action for creek fishing with dry flies. On the prototype, the grip was too big, but Rod Designer Jim Bartschi rescaled it appropriately. This rod has a different action from all of the rest. I felt like it was the softest of the lot and loaded at a specific point that made me feel like the rod had to be cast a certain way. It was accurate and easy to cast up to about 40 feet but outside of that distance didn’t have the stability to carry line in the air like the 854 and the 904. This was my least favorite of the 4 weights.